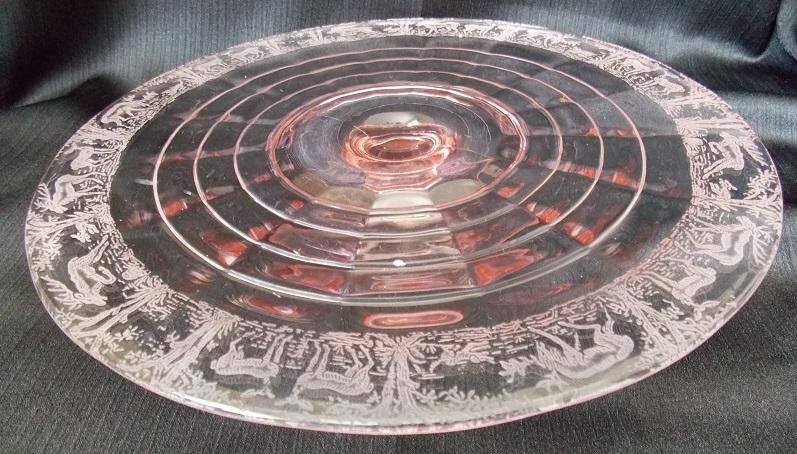 This vintage pink depression glass serving platter was made by Paden City Glass for Van Deman and Sons between 1928-1932 in a Black Forest etched design. 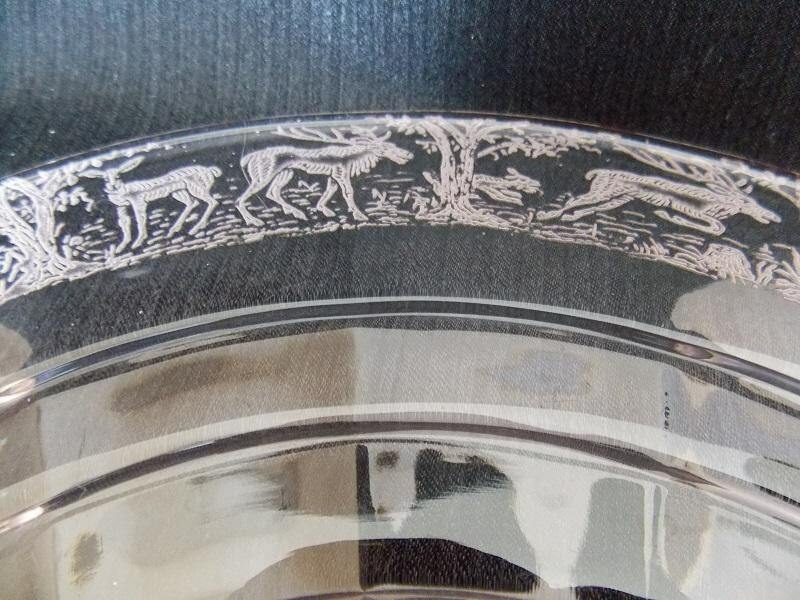 It features an etched deer and stag pattern circling around the outside edge of the plate. 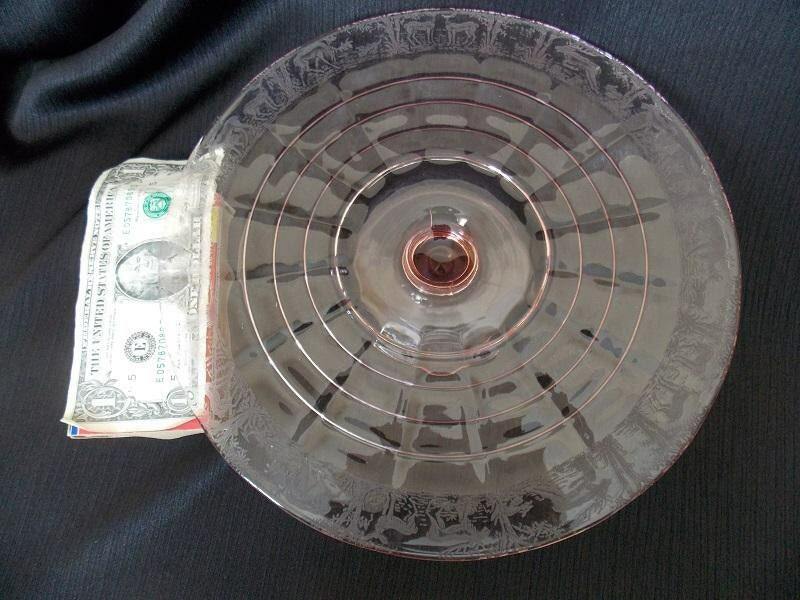 The thick pedestal and base is a solid pink. 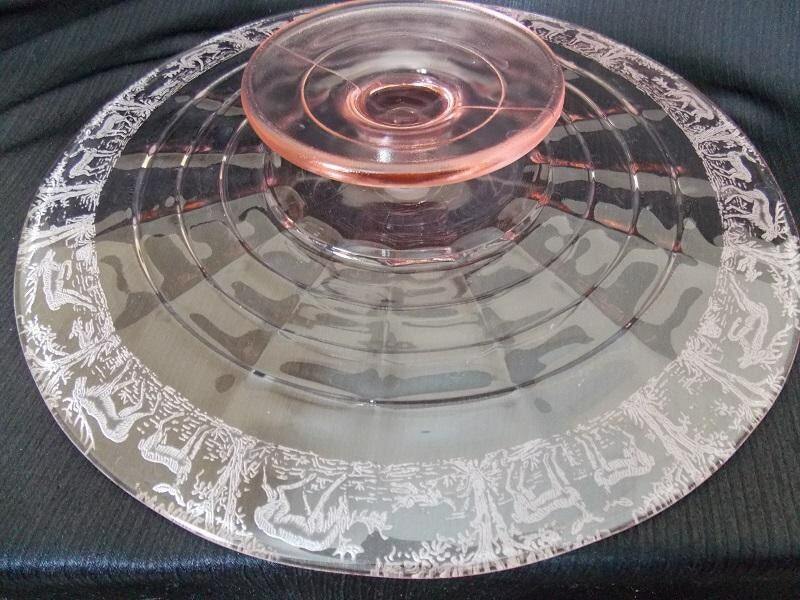 This cake platter is in nice vintage condition with no chips or cracks ; however, there is scratching from normal use.